You are here: Home \ DIY Green \ Environment \ Health \ Waste is Wealth! Imagine you go for a walk, and there is greenery all over and as you are walking seeing the greenery you smell a foul smell of the garbage following your path too! Is only planting trees are necessary to have healthy environment! Then the answer is, No! We need to understand that greener environment will be complete only when the garbage is utilized prudently! Yes we need to use our garbage. Garbage is never ending and we cannot cease at one point, garbage cannot be destroyed as using products and its remains will produce waste every time. We cannot afford to waste our waste! You may think and get confused that waste is waste, waste is can be counted as precious things in this 21st century, increasing need and wants are satisfied by products, which most of the times give its remains to environment as a waste, we live in this century where we are creating infinite waste which cannot be curbed but utilized! In this era of advanced technology we cannot afford to just merely dump the waste and create landfills but to utilize the waste. Landfills have caused numerous problems, there are many damages caused to heavy vehicles and many disruptions are created. Pollution of the local environment occurs as well. This toxicity of degraded wastes in dumping grounds sneaks and get mingled with underground waters or aquifers get contaminated. Soil contamination pollution of local roads and water courses from wheels on vehicles when they leave the landfill can be mitigated by wheel washing systems. The landfill decays as it is mixture of all the components of waste that is biodegradable and non biodegradable materials. These mixtures of material mix and create toxicity, gases like methane more potent than other green house gas like carbon dioxide and these it arises danger to the inhabitants. 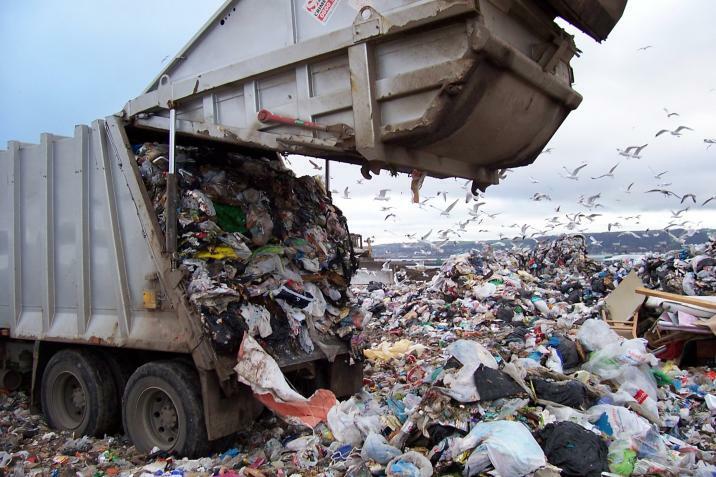 The tons of garbage are gathered and are burned or dumped in the landfill. In this fast and furious world why to waste the and rather using advanced technology. Recycling and reusing only at a domestic stage won’t assist to fight with the unhealthy hazardous conditions, but at national to global level; if some steps are taken we can help the mankind at global level and make waste more productive. 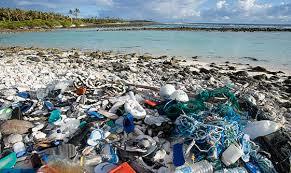 As the population will tend to increase every passing year, a lot of waste would be created. Large amount of pollution, infertile land, infinite hazardous and disastrous diseases! We need to know that this can be curbed by making use of waste prudently. Questions may arise in your mind that how, we can change? what we would have to do? Then the answer is that, from each home we get waste, which is dry and wet. 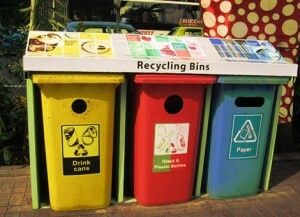 We can easily begin it to collect both the wastes differently, there is nothing called waste if we think so! Every green and biodegradable materials like, waste food, remaining food from your kitchen or a large amount of wet waste from restaurants, hotels, etc can be decomposed and biogas can be created, it will not only help with the domestic level and sort the gas problems but it will help us to grow our economy. As a lot of the natural gas is created the cost and usage of the LPG may reduce and production of renewable biogas may take place at a reasonable rate to the consumers. 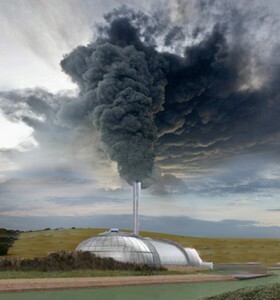 Don’t forget your waste is wealth and its incineration will affect your health. Incineration of such waste can create health problems like breathing problems, lungs problems, various cancers, aches, itching, etc. We need to know the toxic created by incineration will wretch our health’s we need to move forward towards great green living. 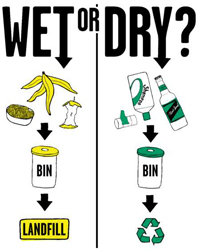 Dry waste can be treated with certain steps by recycling them or reusing them! 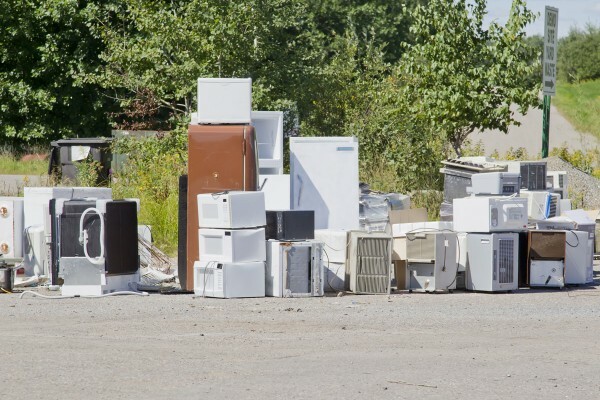 Many companies are coming forward to create such aura by treating waste as their raw material and creating better products for green living and greener environment. Our world will be overpopulated and more and more interconnected. The defining challenge of the 21st Century will be that humanity shares a common fate. That fate is already demanding new forms of global cooperation. The paradox of a unified global economy and divided national societies poses the single greatest threat for our planet! And although there are appropriate waste management solutions, the main problem is the global framework that should put them in place where they are most needed. Let’s try to create it.